Please reference the WJCC Athletic Handbook. The information about concussions can be found on pages 12-14. More information on concussions can be obtained from the website www.sportsconcussion.com or by contacting one of the WJCC schools’ athletic trainers. Game Schedule – Games begin at 4:30. SOFTBALL home games will be played at Kiwanis Park on field #2. 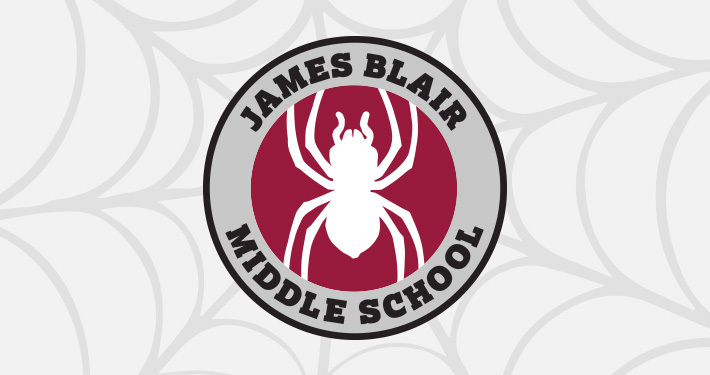 On May 16th, JBMS will be one of the hosting sites allowing students interested in participating in athletics an opportunity to get a physical through Riverside. 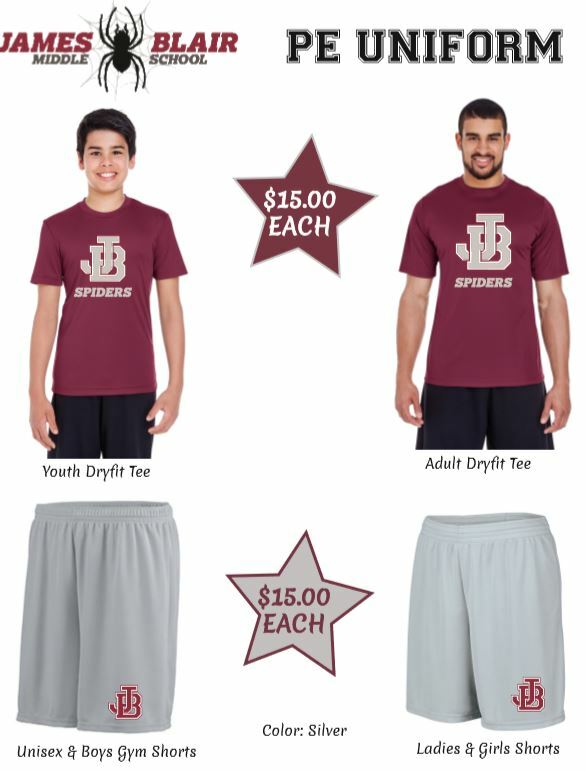 The cost is $25 each. 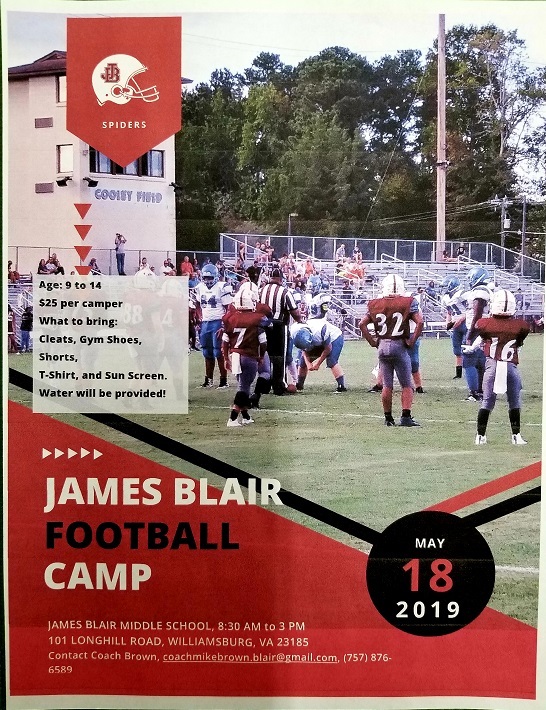 Our football camp is on May 18th! See the flyer below for more information. 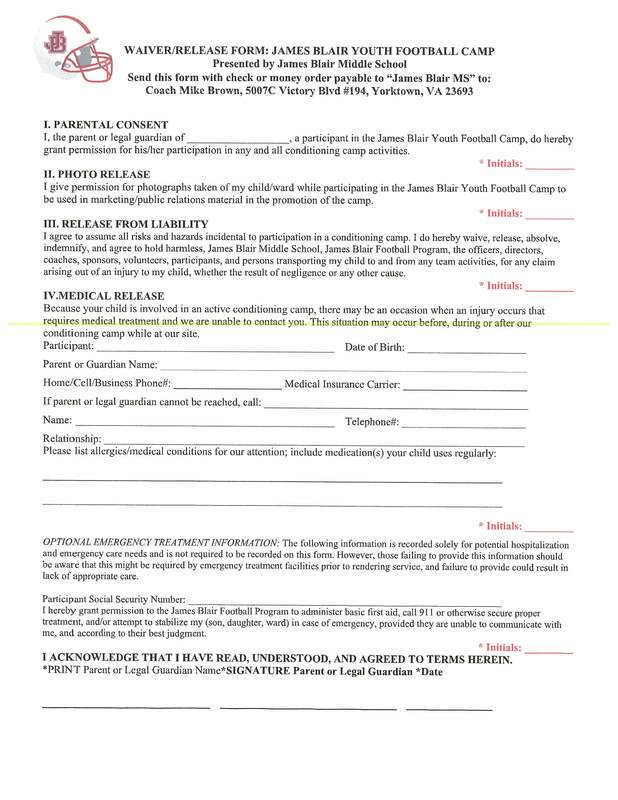 Players must turn in a completed waiver in order to participate. Click HERE to access the waiver. You may also contact Head Football Coach Mike Brown with questions at coachmikebrown.blair@gmail.com.